The plan...Jeremy will bring Kristin and her family and cousins for a walkabout in New York City's Central Park. The goal...get her to the "Home Alone Bridge" (aka Gapstow Bridge) and do a New York City surprise proposal in Central Park by Gapstow Bridge! 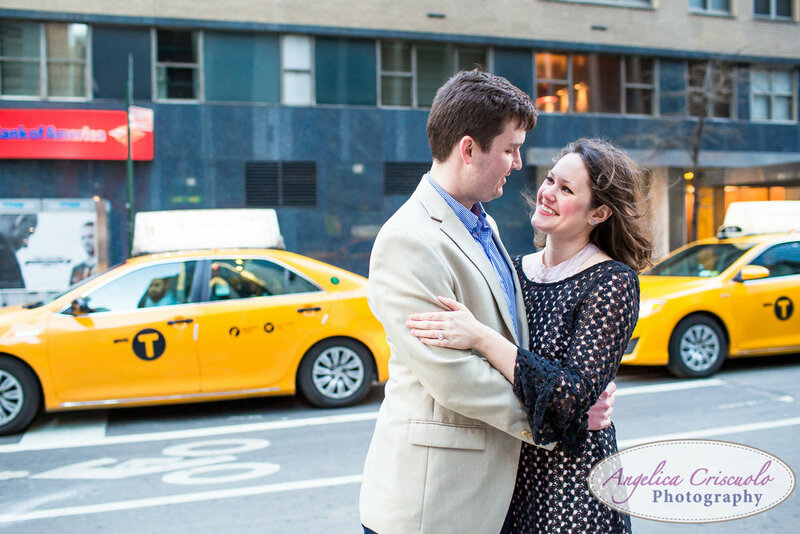 Always a great New York surprise proposal idea! The success...We do not hear what they're saying...but they both looked adorably romantic, a couple in love in Central Park. He pulls out the ring...he gets down on one knee...proposes, and she said "YES!" Congratulations Jeremy and Kristin! I'm very happy, humbled and honored to have captured this momentous moment. Here's to your new adventure! The entire group in Central Park. Everyone was very happy to have witnessed the proposal!!! Hello everyone! What a busy and fantastic summer! I couldn't wait to share these photos from Robyn and Mark's fun New Jersey Botanical Garden engagement photographer session filled with sun, laughs, romance, flowers and bloom...well you named it, we got it. When I first drove to New Jersey to meet Robyn and Mark, (Cafe Bene...yum!!) I instantly was drawn to how they both interacted with one another. They really were in sync and you can definitely tell they love and care for one another. As a wedding photographer, that gets me sold each and every time. It doesn't hurt that they got my quirky personality! 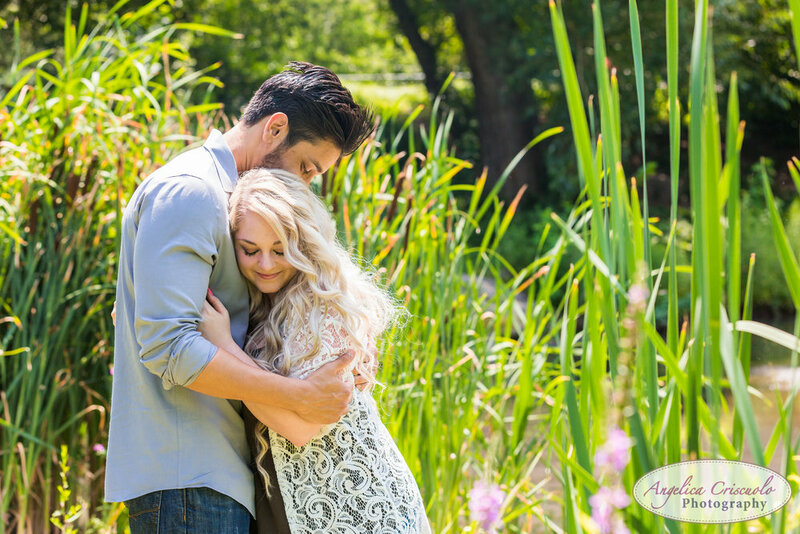 For their engagement session, these two Maryland resident chose the NJ Botanical Garden, and it was just perfect. We spent a lot of time laughing and sharing stories. What's their story? They both met through a mutual friend (shout out to Kelly!) years before, and started a long distance relationship with Robyn living in Texas and Mark moving to Maryland. I can't say it enough, but when you love someone, you make the long distance relationship work! Robyn eventually moved to Maryland, and they both knew they found "The One" when they realized they wanted to live with one another and that this person is who they want to spend the rest of their lives with. Fast forward to their proposal, Mark finally asked Robyn to marry her the day of her birthday. Robyn knew what her present was....a new purse! They were off to breakfast, but she asked if she can open her new present. Robyn also loves scratch offs lottery tickets. I mean, who doesn't love scratch off tickets!!?!? That's why we get along. When Robyn scratched off 3 matching diamond ring symbols, she was excited to win either $20 or a grand prize. Mark encouraged her to find out what the winning prize was, and it said "Will You Mary Me." That's definitely the best scratch off tickets ever!!! Mark definitely deserves a lot of congratulations for this proposal. He knew Robyn wouldn't want a public proposal so he stated that "all my ideas went out the window and had to think of something clever!" 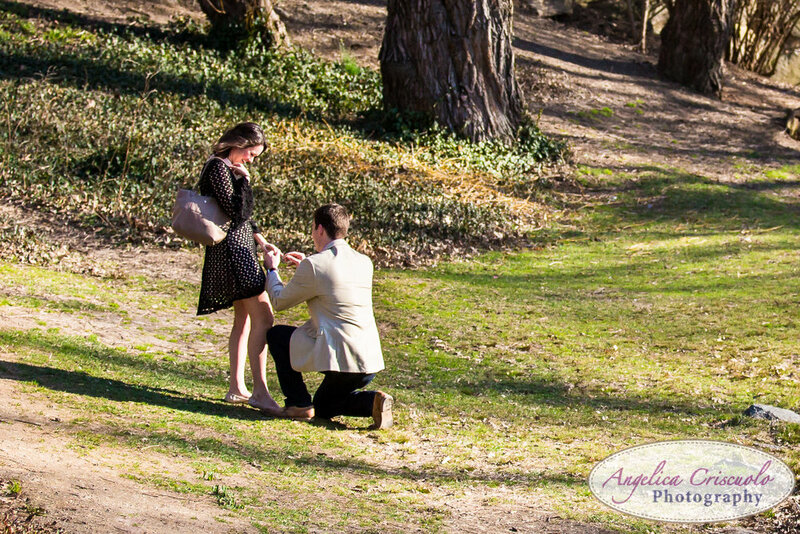 Well this definitely is one of the best proposal stories I've heard! I really can't wait to capture their wedding and big congratulations to the happy couple. Until the fall for their New Jersey wedding so stay tuned for their wedding photos!!! 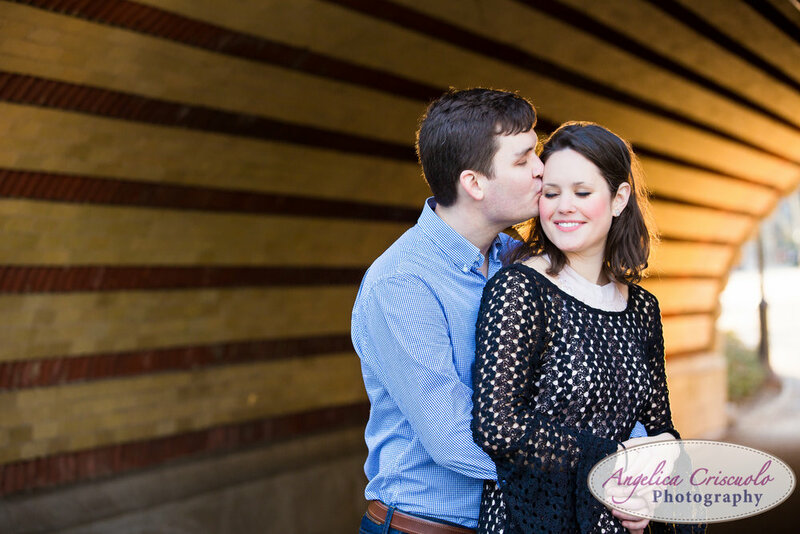 These two Washington DC residents were in for one of the best adventures of their lives! Alena had no idea that Matt had a surprise in store for her when they travelled last minute to New York City. She thought it was his surprise gift to her for finishing Law school, (congrats again!) and it was. Little did she know there were more surprises in store for her on a beautiful spring afternoon in Central Park New York by Gapstow bridge...(known by many as the Home Alone Bridge). 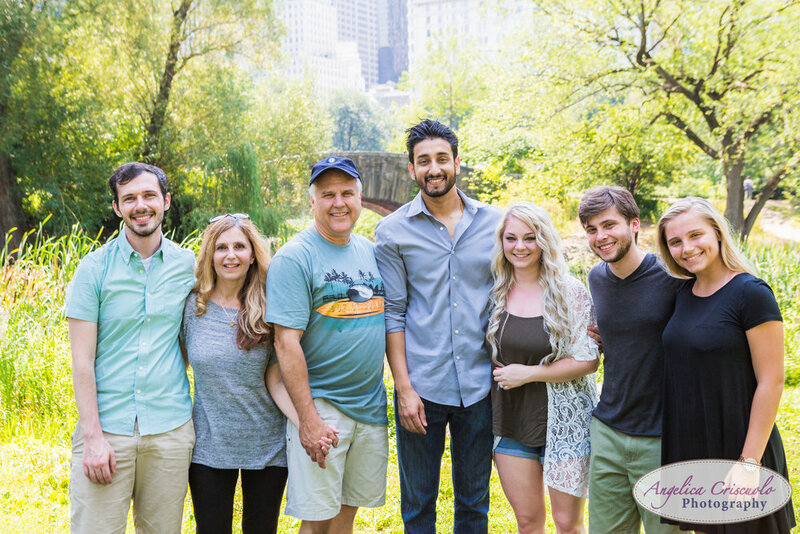 I LOVE capturing New York City wedding surprise proposal photography and the engagement session to follow and this was definitely one of the best!!! Here's a living image of the post-event :-). Stay tuned for more teasers! More to follow! 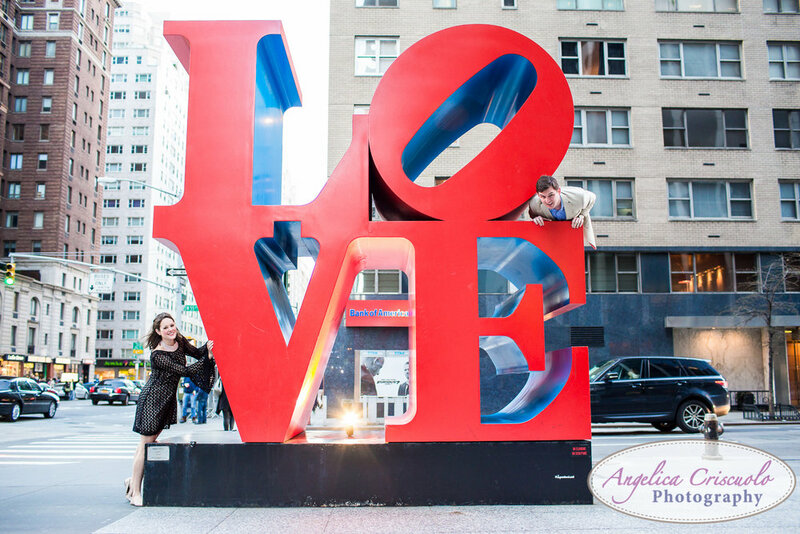 © Copyright 2015 | Angelica Criscuolo Photography| All Rights Reserved | info@angelicacriscuolophotography.com | NYC Wedding Photographer travels to New Jersey, Connecticut, Pennsylvania, Hawaii, Destination Weddings worldwide including Caribbean, Philippines, India, Europe, Polynesian Islands & more.Engagement Photographer and Luxury Boudoir photography. Photo booth rental and service. NO travel fee to San Diego, San Francisco, Los Angeles, Ft. Lauderdale, Miami, Orlando, Boston, DC – Available for Travel.